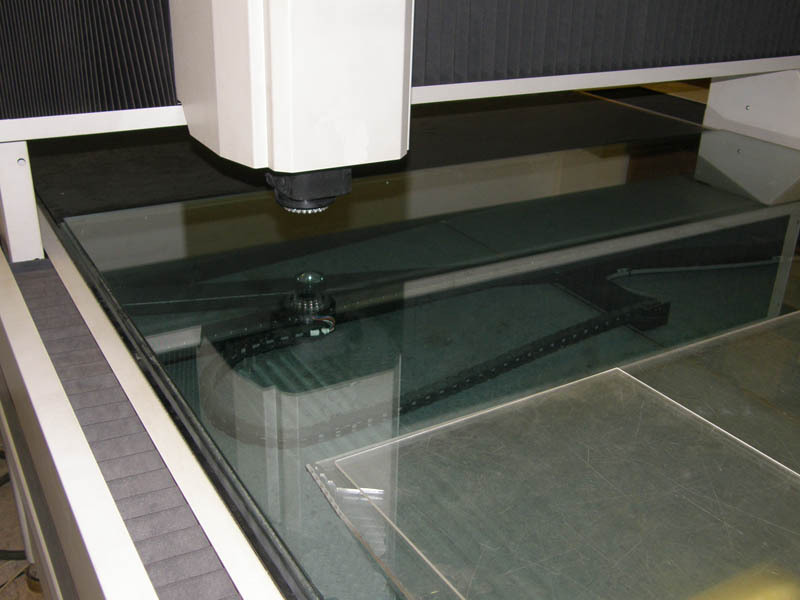 Polaris Laser Laminations inspects all of our laser cut parts with our Coordinate Measuring Machine (CMM). 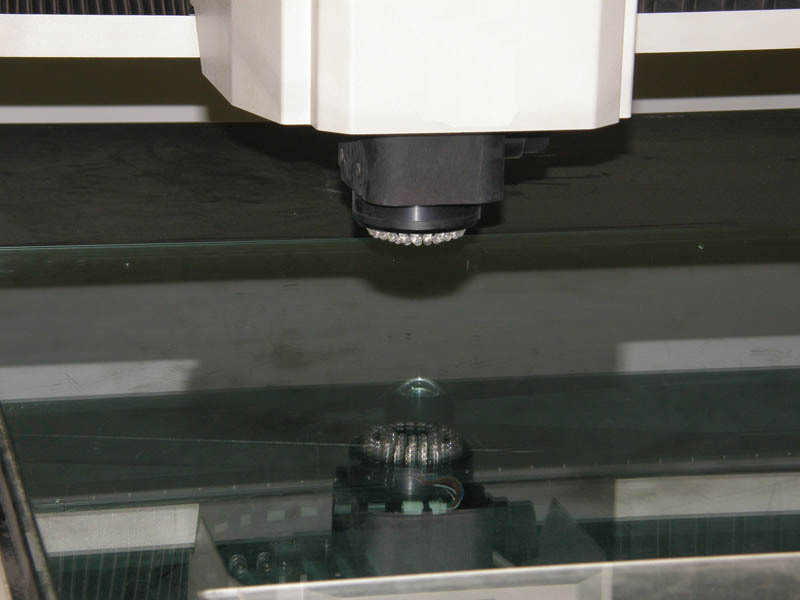 Our CMM has a high resolution CCD camera with an image processing circuit board. This provides Polaris the capability to provide a powerful, on screen measurements which surpasses digital readouts. All dimensions are measured automatically. Our software measures features using many data points yielding greater accuracy. Here is an inspection report. "Test" cuts are necessary for a precise, quality part. A "test" cut lamination is laser cut. 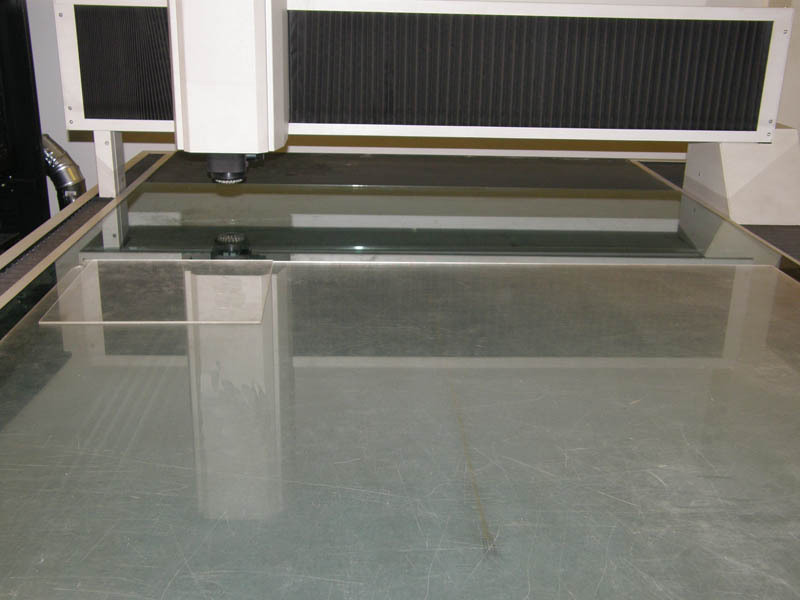 All dimensions are measured using our CMM. Any dimensions outside of tolerance ranges are noted if any. 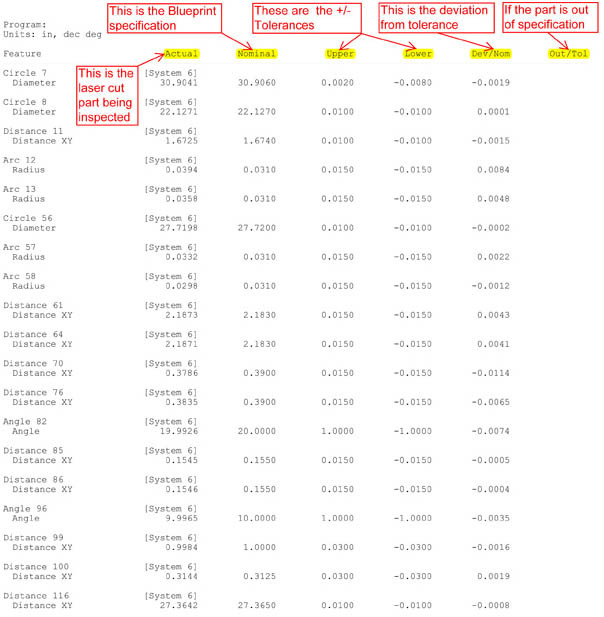 "Test" part drawing is corrected if any changes are needed. Another "test" cut is performed on revised part. 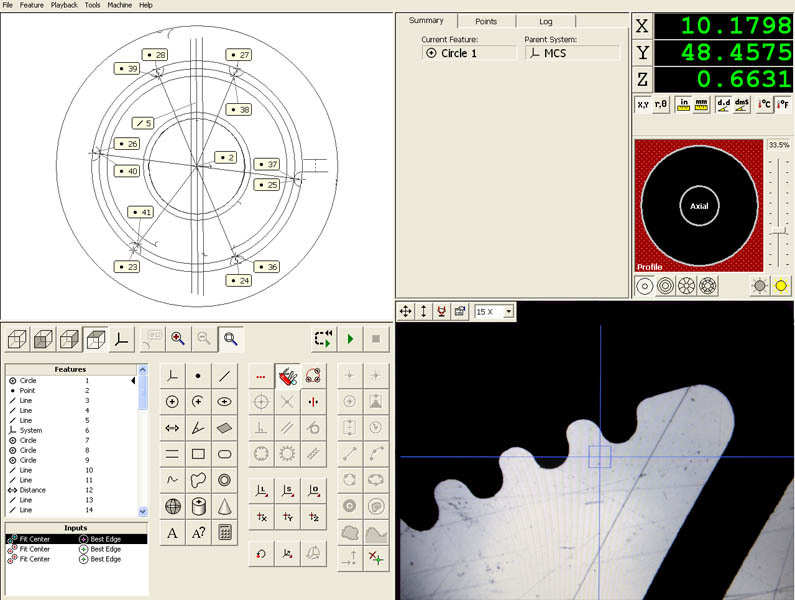 Revised part is measured again on CMM. Parts are then laser cut after quality control approves "test' cut lamination.